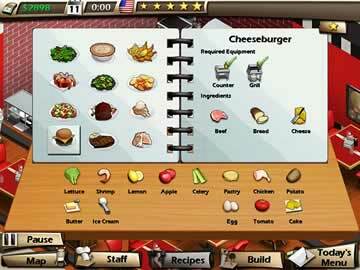 Bistro Boulevard Game - Download and Play Free Version! 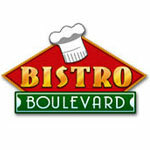 Attention, now serving food and fun on Bistro Boulevard! Have you ever imagined what the perfect restaurant would be like? Well, stop dreaming and start building it in Bistro Boulevard! 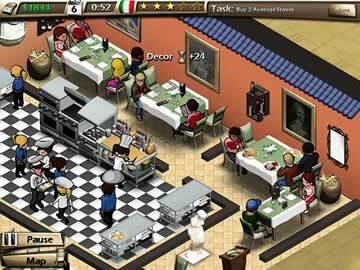 As the owner, designer, manager, and head chef of your very own restaurant, you'll make all the decisions which will transform a boring old diner into the hottest five-star restaurant in town. Hire your own dream team of wait-staff and kitchen crew to bring your vision to life. Decorate your restaurant with hundreds unique decorations, creating a stylish spot that everybody will want to be seen at. Create your own menu and experiment with ingredients in the kitchen to invent mouth-watering dishes your customers will crave. Invest your earnings back into your restaurant, upgrading the kitchen to provide better service and a wider variety of dishes. Let everyone smell what YOU are cooking in Bistro Boulevard!